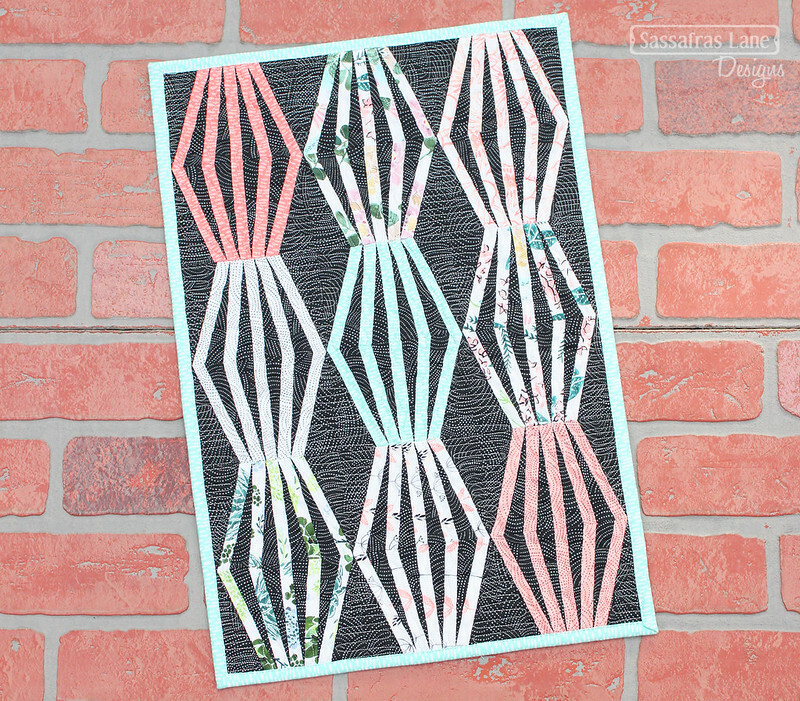 This week in our Mini Monday Series is our Mini Lantern Lane pattern! Mini Lantern Lane is the miniature version of our fun Lantern Lane quilt pattern. Both patterns will be 20% off today and tomorrow (3/12/18 - 3/13/18 PST). Now let's chat about Mini Lantern Lane! How Mini Is This Mini? The Mini Lantern Lane finishes 12 inches wide by 18 inches tall, so it is a tall and skinny mini quilt. 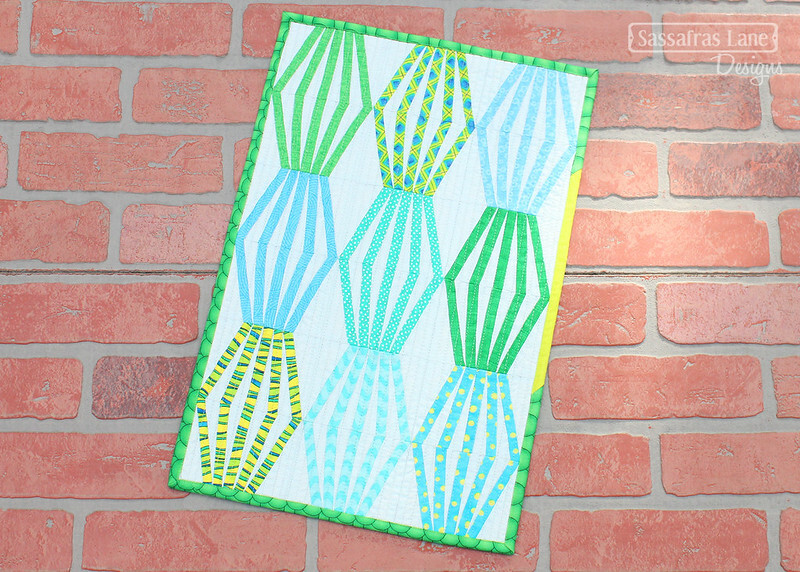 The original Lantern Lane quilt pattern’s lanterns have a few more lines in them, so these little ones are quick, easy and fun to paper-piece! The Mini Lantern Lane calls for nine lantern fabrics and a background fabric. Choosing nine different lantern fabrics that contrast with the background is pretty fun and easy! You can choose a theme of cool or warm colors, use a fabric line with small prints or make a festive holiday wall hanging. Something we haven’t done yet, but intrigues me, is using assorted low volume prints for the background and one solid (or a few) for the lanterns! Choose your binding to blend into the background or add a little design flair to the edge of the quilt! 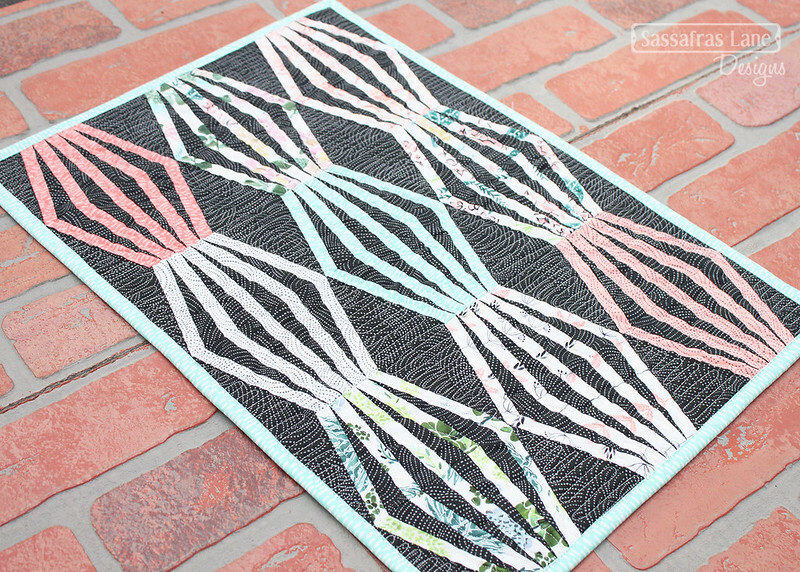 This mini is completely paper-pieced! The lanterns are made up of two of the same blocks, just one is rotated 180° upside down to form the lantern. 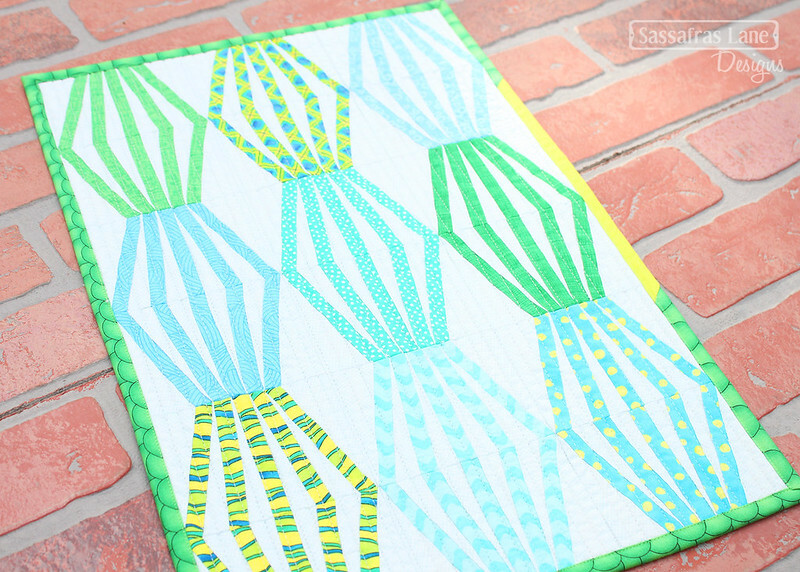 All the seams nestle when sewing the blocks together, so this mini goes together in a breeze! Mini Lantern Lane is one of our easiest and fastest minis to make! Here are a few versions of this mini quilt we have made. One of our cover Mini Lantern Lane quilt is made with assorted lime, teal and aqua prints for the lanterns and a light aqua tone-on-tone for the background. We used a green binding with a pop of lime to add a little pizazz! 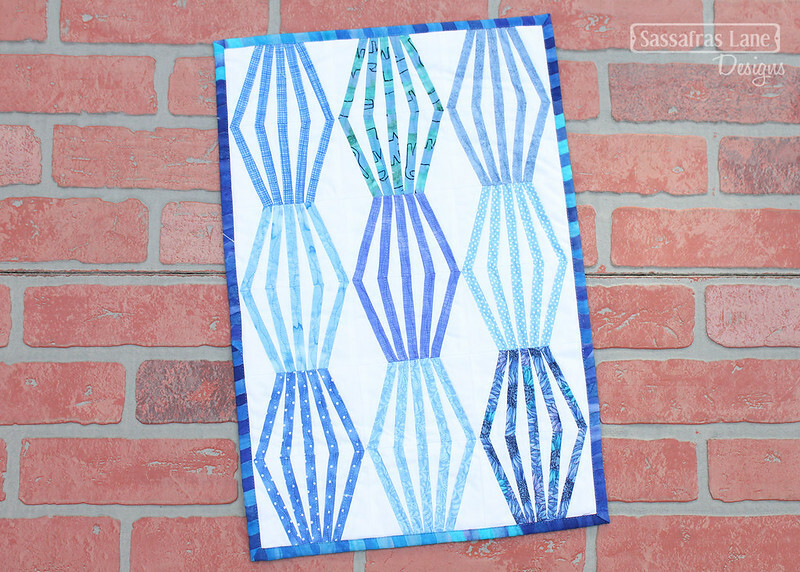 This other Mini Lantern Lane quilt features nine different periwinkle prints for the lanterns on a white background. We used a fun periwinkle stripe for the binding and voila! 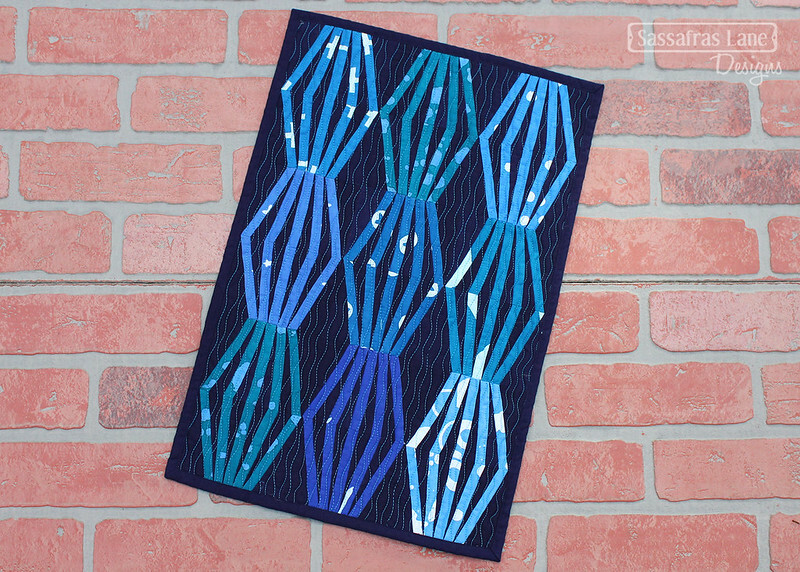 This quilt is a fun version that features a dark navy background with assorted blue and teal Alison Glass Handcrafted prints. I love how these look like they are floating in a night sky! And last but not least is this version of our Mini Lantern Lane featuring a sweet floral line of fabric from Dear Stella on a charcoal black background print. Each mini quilt looks so different! 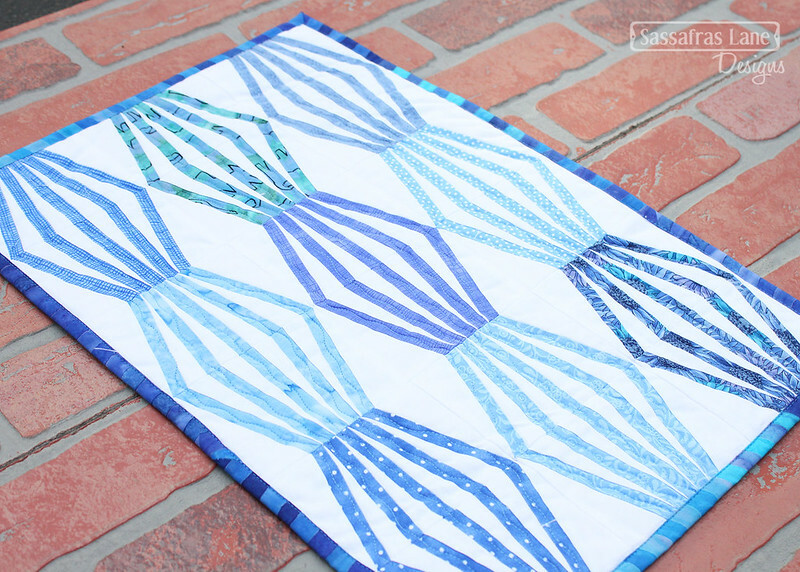 Share Your Mini Lantern Lane Quilt! 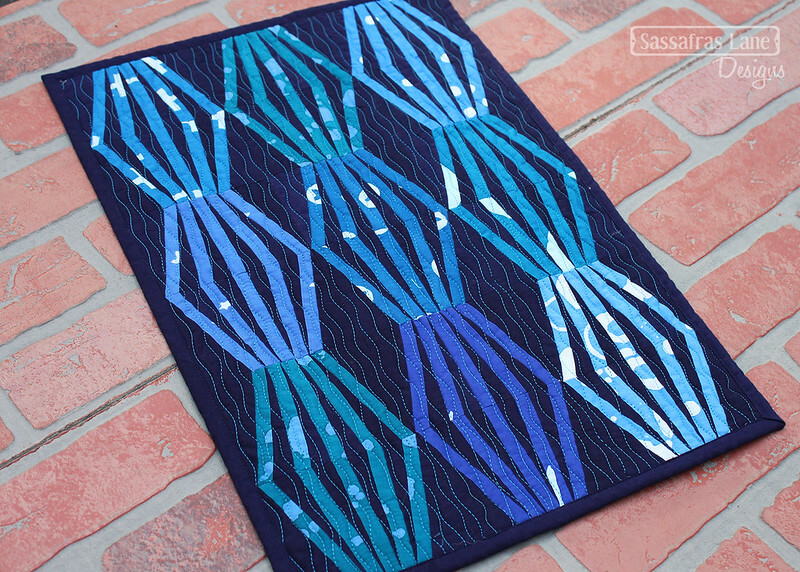 We hope this inspires you to tackle a Mini Lantern Lane quilt of your own! If you do, be sure to share photos on social media so we can see it! Post them to our Facebook Group or use our #sassafraslane hashtag on Instagram!